As LED lighting becomes more affordable and accesible, consumers are beginning to see the financial and environmental benefits to converting to this exciting new technology — and are putting money on it. This renovation to energy-efficient LEDs is responsible for the anticipated growth of the LED market — expected to double by 2014. 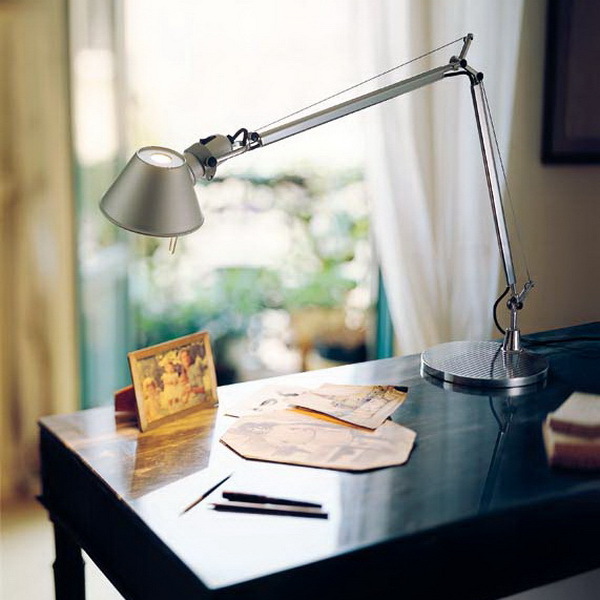 LED Table lamps and LED Desk lamps are an ideal way to begin the process of converting to LEDs. Lightology offers a vast array of award-winning, classic and modern table lamps that fit perfectly with other contemporary lighting or design styles. Koncept offers an array of extremely popular LED desk lamps, like the I-Bar Mini and the Z-Bar, that fold away or extend for high-power LED brightness with four-step dimming. 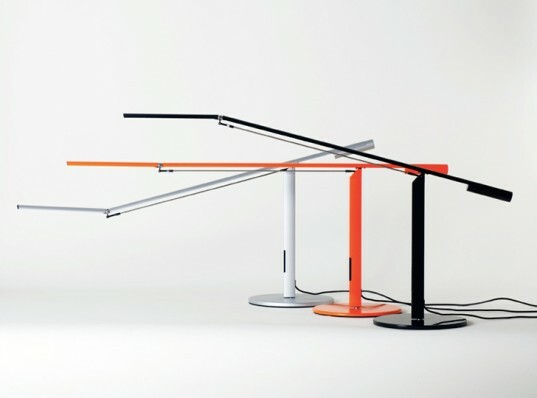 The Equo desk lamp recently earned a ‘Best in Class’ award from Next Generation Luminaires, an LED competition sponsored by the Department of Energy. It earned this recognition for its touch-sensitive control strip, great value (only $225) and cool design. One of the most popular debuts in LED lighting this year was the Kelvin LED from Flos. 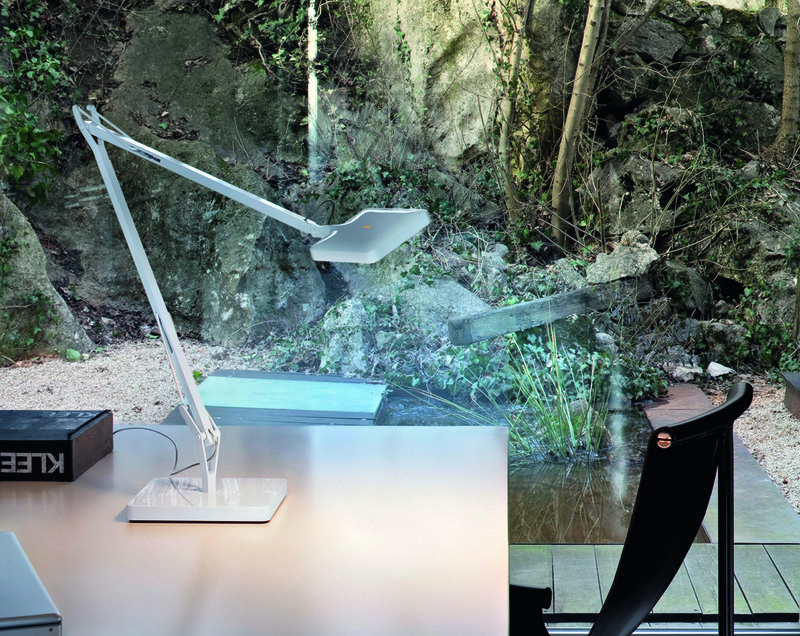 Designed by Antonio Citterio, the fixture has an on/off touch sensor, 365° adjustable arm and 355° adjustable head. It consumes a mere 8 watts and is made entirely of recycled materials. Its soft, warm white light, has, until recently, been difficult to achieve with LED light sources. 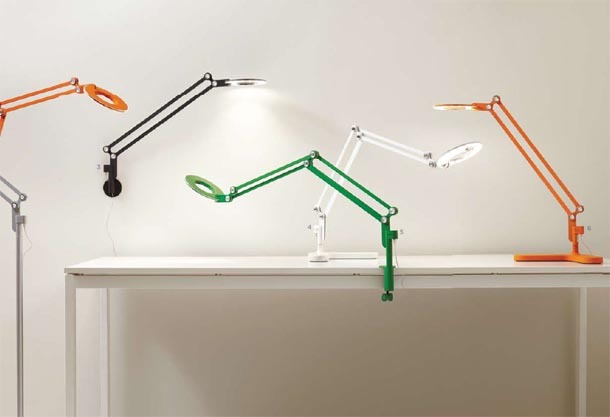 The Link Table Lamp from Pablo adds a bit of whimsy and fun — coming in a variety of hues like green, orange, white, silver, grey and black and match with the coordinating Link Clamp-On, Link Wall Mount and Link Floor Lamp versions. Some iconic fixtures, like Tolomeo from Artemide and Berenice from Luce Plan are now available in LED for a contemporary lighting touch that will never go out of style.